If you are stumped on how to instruct children to begin crocheting, you have come to the right place. With a bit of preparation and a lot of patience, you will soon have the children stitching their way to hats, scarves or even afghans. Crochet hook: "J" size in plastic instead of metal is better for children because it is lighter and easier to hold. Beginner Crochet Patterns: Patterns may be used if you plan to create larger pieces or hats. A pattern is not required if you are merely teaching the stitches. Yarn: Lion Brand is a popular choice. They offer a relatively inexpensive wool blend that is often used by beginners. Chain Stitch: This is the main stitch in most crochet patterns. It is named chain stitch because a row of finished stitches resemble a chain. Single Crochet Stitch: Another simple stitch used in conjunction with the chain stitch is the single crochet. Half Double Crochet Stitch: This stitch is pulled through three loops of single crochet stitches to make one half double stitch. Double Crochet Stitch: Similar to the half double stitch, the double crochet stitch is pulled through two loops then the yarn is wrapped around the hook once. Finally, the yarn is pulled through two more loops on the hook to form the double crochet stitch. Triple Crochet Stitch: This is also called a treble stitch and is basically a double crochet stitch that was pulled through four loops instead of two. Be patient. Most children can tell when you are frustrated or not really excited about what you are teaching. Provide guidance, but do not do it yourself. The objective is for the child to be able to crochet on their own. If you do most of the stitches, the child will not actually learn. Encourage the child and let them know it is okay to make mistakes. Teach them how to undo sloppy or uneven stitches so they will be proud of the final product. If the child is not willing to "redo" the mistakes, take it in stride. Since the first few sessions, the child is still learning, do not expect the output to be perfect. Be aware when the child loses focus. Most children do not have a long attention span so keep the instructions short and to the point. Expect to only cover one type of stitch per session. Depending upon the age of the child, plan for 15-30 minutes per session. Make the instructions fun! Teaching a child to crochet is passing a special skill to the next generation. The process should not be a chore for either you or the child. Set aside time when you have nothing else pressing to do so you can devote your full attention to the child. When the child knows you find it important to spend this time with him, the learning activity becomes important too. 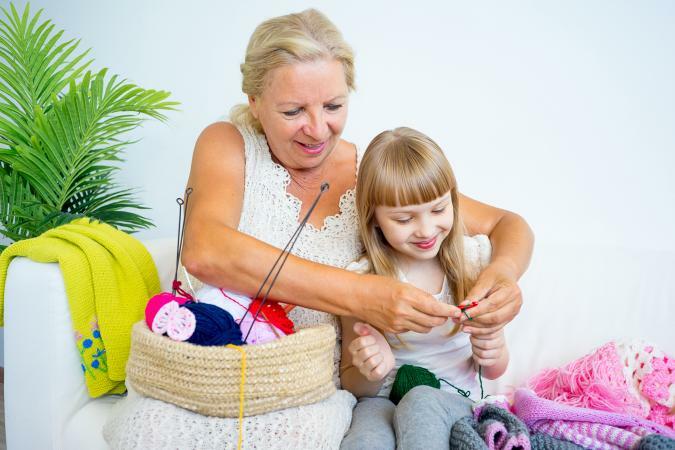 Whether the child becomes a lifelong crafter or merely enjoys an afternoon learning, figuring out how to instruct children to begin crocheting is the first step. Follow the advice and enjoy the process and you will be sure to carry fond memories.